Houghton Mifflin Harcourt, 9780151010417, 384pp. 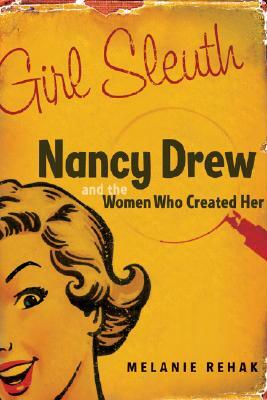 Who created Nancy Drew? And how did she go from pulp heroine to icon? The brainchild of children's book mogul Edward Stratemeyer, Nancy was brought to life by two women: Mildred Wirt Benson, a pioneering journalist from Iowa, and Harriet Stratemeyer Adams, a well-bred wife and mother who took over as CEO after her father died. In a century-spanning story Rehak traces their roles-and Nancy's-in forging the modern American woman. With ebullience, wit, and a wealth of little-known source material, Rehak celebrates our unstoppable girl detective. "Girl Sleuth "earned bothEdgar and Agatha Awards." "Rehak chronicles a character who influenced at least two generations of women in a highly readable, exhaustive book."